Employers who are eager to avoid travel costs to select from a wide variety of candidates beyond those living close by. 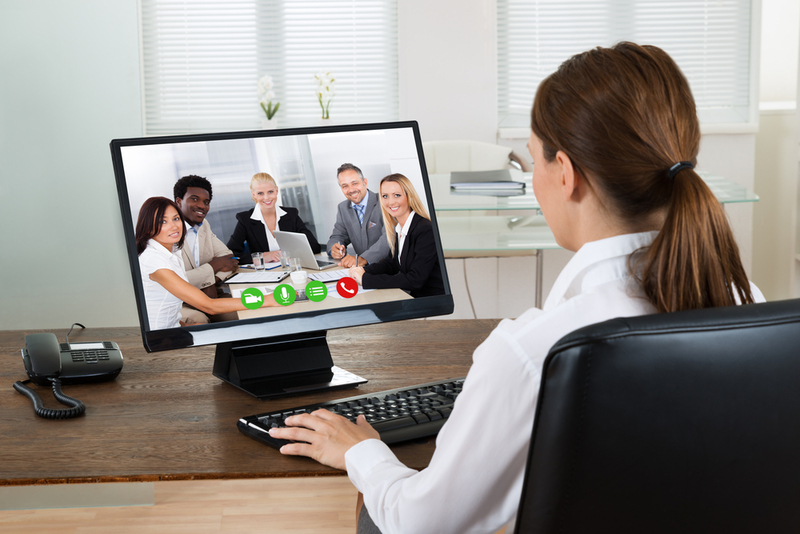 Typically, employers use one-way or two-way video technology to interview candidates. One-way video interviewing enables a candidate to respond to a list of prescripted questions prepared by the hiring organization. Candidates answer each question and return the video when convenient. The interviewer gets to view the job seeker, but the job seeker cannot see the interviewer. Two-way video interviewing is similar to regular face-to-face interviewing, but it is usually conducted through video chat. A key advantage of two-way interviewing is that it provides an interactive forum enabling hiring companies to better assess a candidate’s communication skills, body language, and personality. Conduct research. Job applicants should learn everything they can about the target company by studying its website and social media presence. Specific areas to focus on include the company’s competitors, products, and goals. Plan answers. In one-way interviews, candidates receive the questions in advance, giving them an opportunity to prepare perfect responses. In two-way interviews, candidates should practice answers to typical questions until they can deliver them flawlessly while looking straight into the camera. Check technology. Knowing how the webcam and microphone work will ensure that the technological aspect of the interview—the audio and video—will be flawless. The camera should be set at eye level. Consider lighting. By placing a light behind the computer, the interviewee can prevent lamps from casting unflattering shadows on the face or upper body. Control surroundings. The room in which the candidate sits should be neat, attractive, and quiet. Candidates should avoid distractions such as barking dogs, crying children, flushing toilets, or ringing cell phones. Dress to impress. Job seekers should dress as they would for a face-to-face interview. For a professional position, candidates should wear a suit and be well groomed. They should avoid distracting prints, disturbingly bright colors, and loud jewelry. Practice, practice, practice. A video interviewee should know answers well enough to be natural and comfortable while saying them. Nothing can substitute for lots of practice. Be professional. Those interviewing via video should sit up straight, signal interest by leaning forward slightly, and not let their eyes drop as though they are reading from a script. They should enunciate clearly and not fidget. As with an in-person interview, all answers and stories should demonstrate why the candidate is the best fit for the job. Instructors: Download the Successful Video Interview Tip Sheet for your students here.. This entry was posted in 2. Featured Articles and tagged video interviews on March 2, 2017 by bizcombuzz.